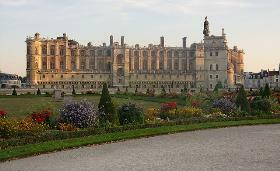 Chateau de Saint-Germain-en-Laye is a French royal castle, west of Paris in the Yvelines département. Work at the Château de Saint-Germain-en-Laye was begun in 1124 by Louis VI as a fortified hunting-lodge in the forests of St Germain and Marly on the site of a 10th-century monastery founded by Robert the Pious. Around 1238 Louis IX replaced an earlier chapel of 1223 built by Philip II Augustus with the present Sainte Chapelle, consisting of three bays and an apse. It has portals, a rose window and sharp tracery details that are clearly by the same hand as the later parts of the abbey church of Saint-Denis. It served as a prototype for the Sainte Chapelle in Paris. In 1370 Charles V rebuilt the château on an irregular rhomboid plan. 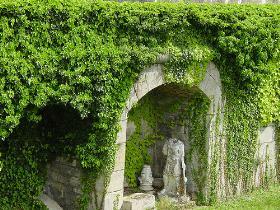 In 1539 Francis I decided to rebuild the château of Saint-Germain, using Pierre Chambiges as architect. They used the irregular foundations of the old château and retained the old keep and probably the chemin-de-ronde, at ground-floor level, of Charles V’s château, which resembled the one that he had built at Vincennes. On the exterior façades this gave the architect a ‘podium’ on which to raise his dignified elevations. Within the courtyard he had to create his podium, resulting in the awkward superimposition of one two-storey structure on another. The use of the round arched opening surmounted by a pediment for the windows of the main floor, Venetian in origin, suggests the influence of Sebastiano Serlio. 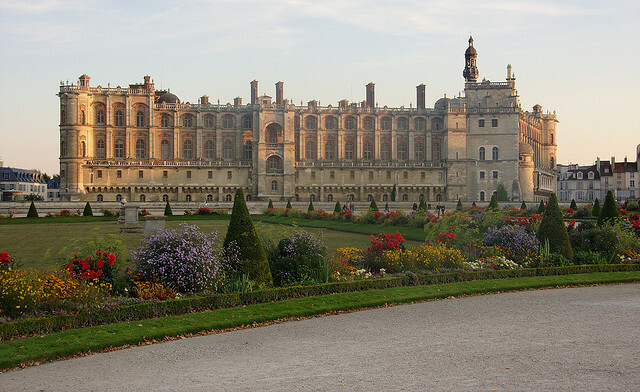 The result is a mixture of Gothic and Renaissance elements that is strangely archaic in comparison with such earlier 16th-century châteaux as Chambord and Fontainebleau. It was, however, in advance of its times in its flat roof, ‘the first of its sort in Europe. In 1553 Henry II commissioned Philibert de L’Orme to build the Château Neuf, which provided a sort of ‘royal lodge’, perched on the edge of the high ground in front of the Vieux Château overlooking a magnificent view of the Seine Valley. 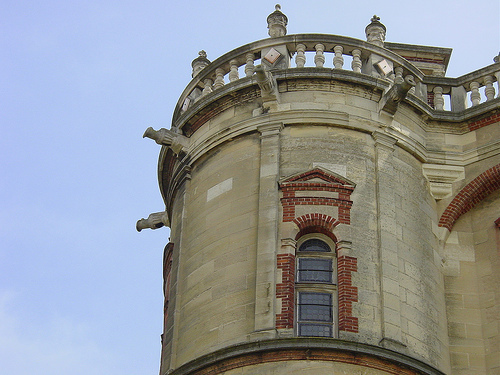 In 1559 Francesco Primaticcio took over where de L’Orme left off, but it remained for Henry IV to complete the building. It was originally described as a ‘theatre’, and its central courtyard, in plan a square with large semicircular projections to each side, may well have served such a purpose. Louis XIV was often in residence at Saint-Germain until he moved definitively to Versailles in 1682: in 1663 André Le Nôtre laid out for him the parterre beneath the windows of the king’s apartment, and also the long Allée des Loges, which formed the perspective. 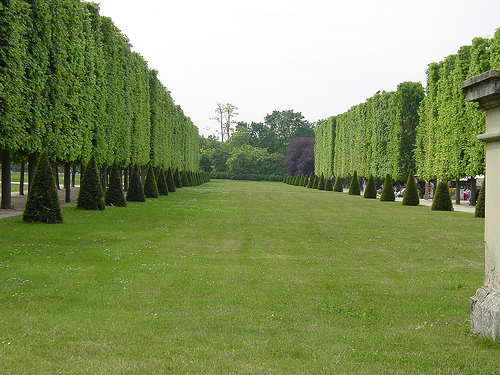 Two years later he planted 5.5 million trees and created the long sloping ride from the Château Neuf to the bottom of the valley. 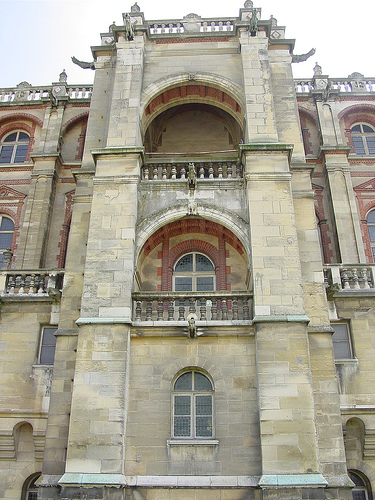 In 1669 Jules Hardouin Mansart redesigned the king’s apartments in the Vieux Château, replacing the sloping roof of the chemin-de-ronde with a leaded walk and wrought-iron balustrade. 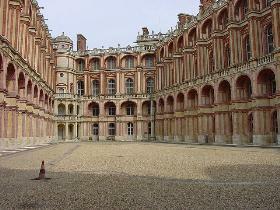 In 1681 he added pavilions to the angles of the old château. 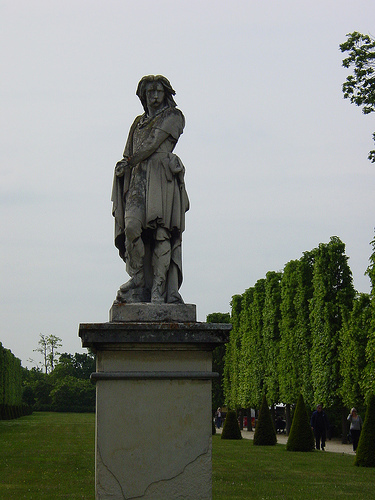 From the later 1680s until his death in 1701 the château was occupied by the exiled James II of England. In 1777 the Château Neuf was bought by the Comte d’Artois (later Charles X) who immediately pulled it down. Its projected replacement by François-Joseph Belanger was never built. 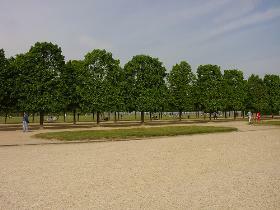 The terraces were largely destroyed when the road was made from the Pont du Pecq up to Saint-Germain. The Vieux Château was restored from 1855 by Eugène-Louis Millet, who, among other works, removed Hardouin Mansart’s angle pavilions. 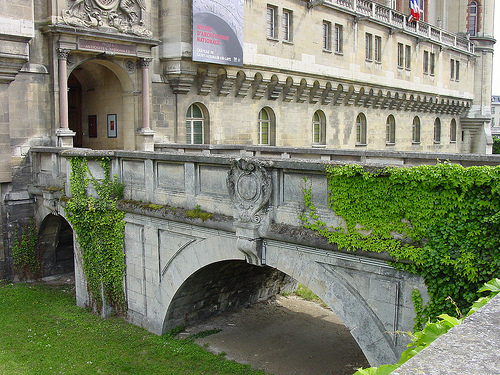 Since 1867 the Vieux Château has housed the Musée des Antiquités Nationales de France. 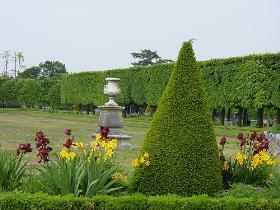 The Chateau & Museum is open every day except Tuesdays from 10,00 to 17,15. Guided tour for groups can be booked at 9am. Please note that on public holidays it is best to call 0139101300 for confirmation of the museum's opening.